The timing of the this announcement before the 2019 General Elections could play a big role in favour of the Narendra Modi government. The government will move a constitutional amendment bill tomorrow to push for 10% extra reservation for economically deprived sections among general categories. The BJP's parent organisation the RSS has always maintained that reservation should be along economic lines and not only along caste lines. "Reservations are meant to correct historical injustice to Dalits. For poverty alleviation, one may run various schemes but reservations are meant for justice. Constitution doesn't permit reservations on economic grounds," says Asaduddin Owaisi. Senior Congress leader Abishek Manu Sanghvi calls the 10 per cent reservation announcement a "poll gimmick". #Forwardreservation a gimmick 2fool ppl-c last tweet. #Balaji 50% maxima continues 2b law. #TN exception an aberration-challenge pending in sc. #modi never did 4five years+hs no majority 4ctal am. Only misleading nation. AP &Raj exceeding 50% 4jats &Muslims also struck down. Amend the law before the Lok Sabha polls, we will support it, says Delhi CM Arvind Kejriwal. 'Bohot der kar di meherbaan aate aate (Its too late now),' says Congress leader Harish Rawat. The proposal to give 10 per cent reservation to the economically weaker upper castes is nothing more than a jumla. The proposal to give 10% reservation to economically weaker upper castes is nothing more than a jumla. It is bristling with legal complications and there is no time for getting it passed thru both Houses of Parliament. Govt stands completely exposed. "It was this government only that denied reservation for various different castes citing more than 50 per cent reservation can't be given. How will they do it? It is their new 'jumla' after 'Rs 15 lakh', and promises of jobs to crores of people," says Hardik Patel. "Is it like all the previous 'jumlas'? There are just two days left for the Winter Session of Parliament to over and now they are coming with a bill… it is possible that this is just another lollipop from this government. They just want to attract upper caste votes and people who had diverted towards the Congress in the recent elections. I can say that it is just a jumla before the Lok Sabha elections," Patidar leader Hardik Patel. Sonal Mansingh, BJP MP, said: "This is a commendable move, which will benefit the people with poor economic background." "I am saying it with deep sorrow. If you see the article 15 and 16, it talks about the reservation for SC, ST, socially and back ward classes. If you want to bring such a law, you have to talk in Parliament. It's just rhetoric. Your (the government's priority is just to make news..." Manoj Jha, RJD leader, said. So who is eligible for this 10 per cent quota for the economically upper class section people? Those who will not be eligible for the reservation should not have land beyond 5 acres in their name; should not own plot 1,000 square yard; should not own 200 yards in non-notified areas; and should not have annual income of over Rs 8 lakh. Reservation approved in govt jobs and education. Union minister and BJP ally Ramdas Athawale said, "The government has taken a very good decision, which would help large section of society, who are economically backward among different upper caste." "This is a joke with people. They know there can't be more than 50 per cent reservation, so they we want to bring it so that they can say look we want to bring the bill but the court is not allowing us. This is only to start the blame game. The question is either we should have criteria on the basis of caste or it should be on the economic bases," Rajya Sabha member KTS Tulsi told the news channel. 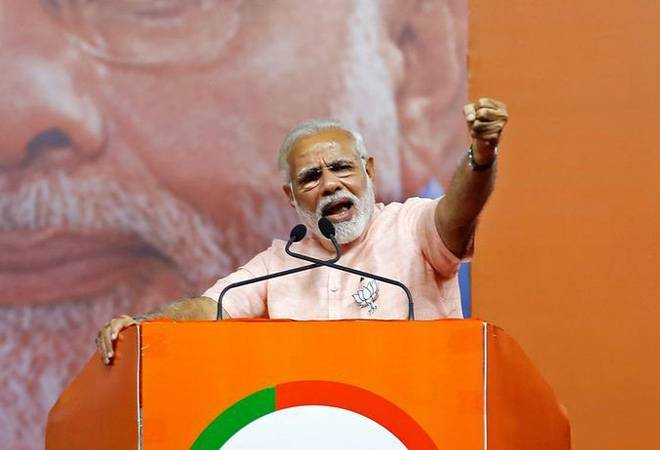 Amiben Yagnik, Congress Leader, told India Today TV: "The announcement is coming just before the Lok Sabha Elections, so we will have to look into how this has been done. This government is not serious about the people's issue. If it was the case, this government would have done something on the Women Reservation Bill." MP Sawant of Shiv Sena told India Today TV: "Bala Saheb used to any don't give reservation on the basis of caste but on the basis on economic conditions. But it remains to be seen how they will implement it?" 10 per cent reservation approved by Union Cabinet for upper castes. Govt to amend the Article 15 and 16 of the Constitution to provide reservation for the upper castes.